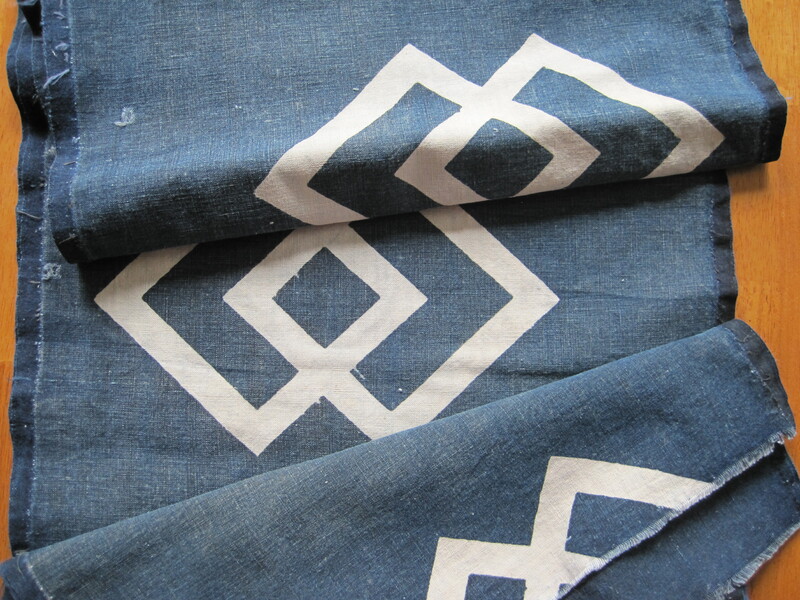 This antique katazome of overlapping squares has been hand dyed with indigo on beautiful well worn machine woven cotton. 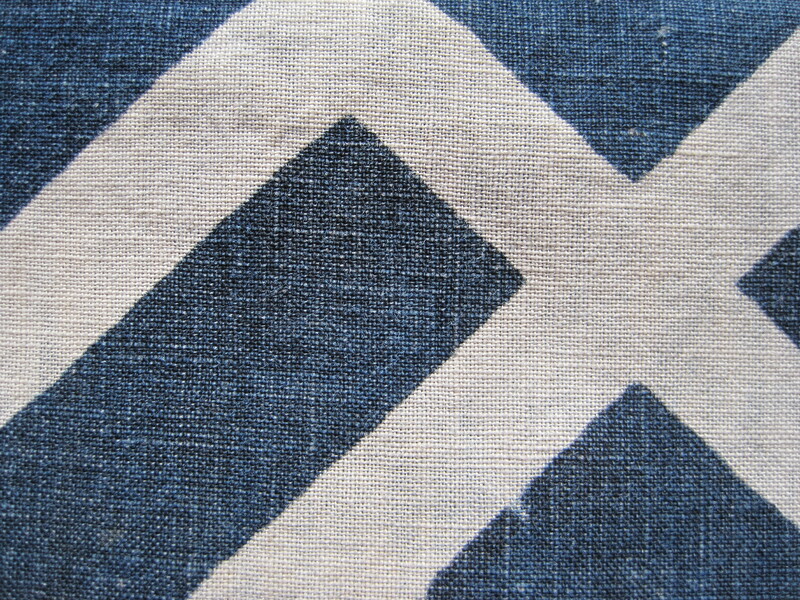 I love the bold design of this fabric and I think there is something really modern about the design. 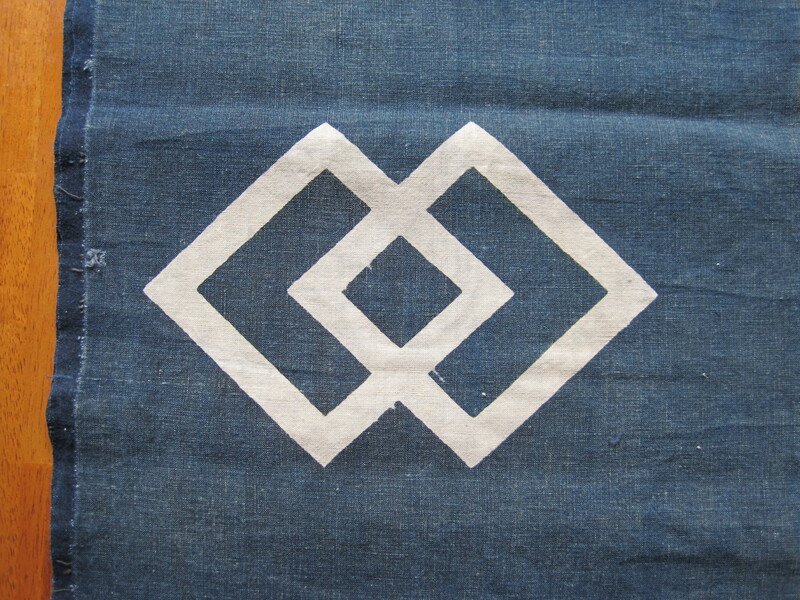 The fabric was more than likely created for a nuptial futonji given to a bride and groom on their wedding.